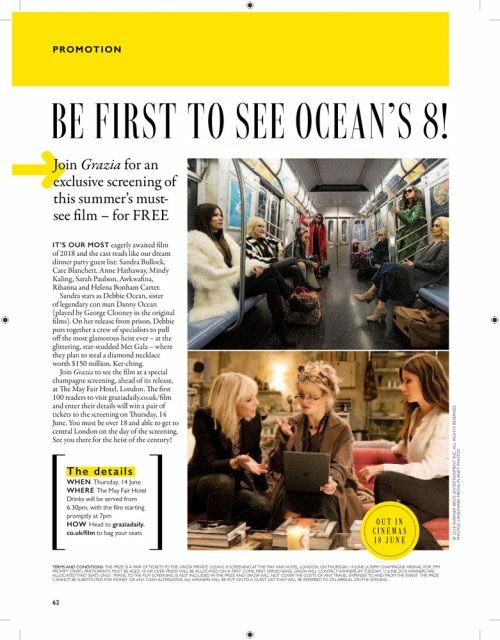 On Thursday 19th June Grazia teamed up with Warner Bros. to invite 200 Grazia readers along to a private screening of the new Ocean’s 8 film ahead of its release in UK cinemas. The event took place at The May Fair Hotel in London, where guests were greeted with a champagne reception before the film started. The event was a huge success!